Posted on May 30, 2018 by Teagan R. Geneviene •	This entry was posted in Collaborations, Hullaba Lulu, Jazz Age Wednesdays, Teagan's Books and tagged 1920's, Art by Rob Goldstein, Collaboration, Diesel-punk, Editing, Fantasy, Roaring Twenties, Serial Stories. Bookmark the permalink. He’s certainly intriguing, Lavinia. Kind of sad too, but he seems to have done what he wanted to do. Netflix has a bio on him right now that I enjoyed. I haven’t read the book, but I’m sure it’s interesting. Thanks for catching up here. You’re the kitten’s ankles! I adore your writing and I am amazed about all the stories you create weaving them into a time period. Rob’s art work is lovely and mingles nicely with your stories. Thank you kindly, Gerlinde. Your catching up here has made my day. You’re the bee’s knees! Wouldn’t it be nice to live on something like that? Thanks for being on the train, Suzanne. You’re the oyster’s earrings! Teagan and I had the same “what if” idea, at the same time. Thanks for the shout out from your place, Rob. 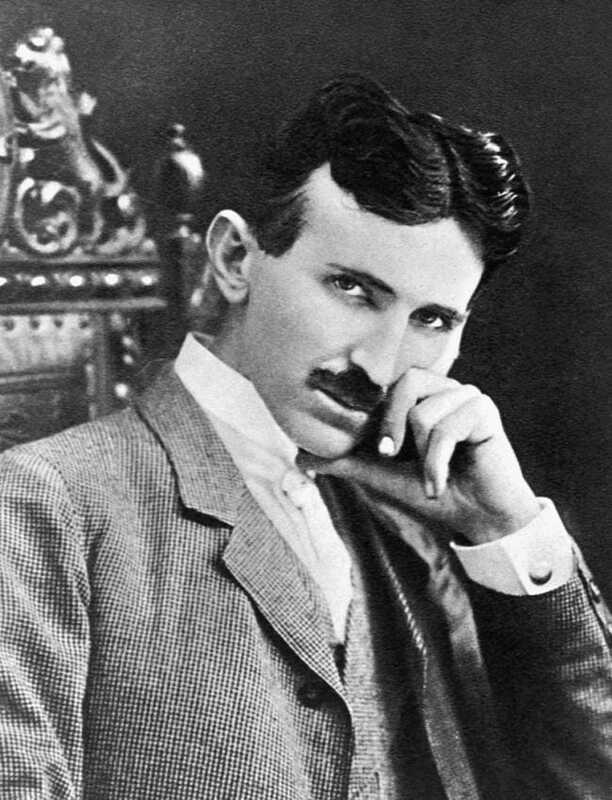 I like the concept of bringing in Tesla…fascinating man ahead of his time in my opinion…could really add an interesting element! Also have failed to mention Rob’s work…my bad because each week I have thought how stunning it is!! Keep after it…both of you!! Hi Kirt. Rob will be happy to hear that. He’s taking a bit of a “break” — but he still made new images and a video. LOL, his idea of a break is about like mine. Although he’s not spending as much time in the blogosphere with comments. I agree about Tesla. I’m having a hard time reining in my enthusiasm… If I don’t watch out, he might take over! LOL. Thanks for visiting. You’re the cat’s meow! Welcome aboard, Andrea! I see that I have catching up to do at your place as well. It’s wonderful to see new posts from you. Thanks so much for getting on this train. You’re the cat’s pajamas! It’s great to see you Valentina. I agree about “what if”. Rob will be happy you liked his images, although he’s taking a break right now. Thanks for taking time to visit. You’re the kitten’s ankles! Teagan is taking a mini-break away from the razzamatazz of Jazz Age Wednesday episode this week but still shares some more outstanding images from Rob Goldstein with his vision of who the elusive Valentino might be… three interesting ingredients coming up next week.. And being someone who gets a bit bolshie from time to time (well quite often) I am interested to see how they get that word incorporated. Thanks for sharing, Sally. Even though I haven’t had time to write, I couldn’t resist sharing Rob’s work. He’s super busy too right now, so the timing was right on that part. I appreciate you. You’re the oyster’s earrings! Thank you kindly, Priyasha. You’re the cat’s pajamas! He really was fascinating, Adele. I’m pretty sure that will happen… just not the way Mr. Tesla would have intended! 😀 Thanks for visiting. You’re the kitten’s ankles! Many thanks for sharing, Viv. You’re the cat’s pajamas! Leave it to Lulu to make a gum bubble to somehow look elegant! Love the illustration, Rob! LOL, Lulu will appreciate that, Joanne! That one seems to be a crowd favorite from Rob. Thanks for visiting. You’re the bee’s knees! Tee-hee! That’s fabulous, Tina! You really rose to the challenge. Thanks so much for getting on this train. You’re the cat’s pajamas! This is the cat’s meow. With Rob’s amazing images and a Ouija board navigator, I am aboard! Hi Jennie. I’m so glad you’re on this train. 🙂 Rob has made wanted the Cotton Club to be part of this story for the longest (and made terrific related images), so I’m trying to figure out how to work that into it, along with the “things”… That might give the Ouija board something to spell out. LOL. When I start (though I don’t always mean to, my head goes there) trying to combine random “things” with an idea or concept, that’s much harder than just letting the pantser loose. I had something yesterday, but I think I’ll have to throw it out and start over. I have to say again, your Memorial Day post was particularly good, among your many wonderful posts. Have a thriving Thursday. You’re the kitten’s ankles! Hi Christine. It’s so nice of you to visit. Nicola Tesla was indeed a handsome man — and a fascinating one too. Now I’m even more tempted to write a fictionalized version of him into the story… but I really should be thinking of how to wrap up the Lulu story, not let it get even longer. Rob has been so good to stick with me all these weeks. I shouldn’t take advantage of his good nature. Aw, thanks, John. Tesla is a fascinating historic figure, John. Although I gather that he was difficult to be around. Thanks for taking time to visit. You’re the cat’s pajamas! And Thank you, dear Ape, for all those terrific “Ts”. 😀 I appreciate you reblogging. You’re the berries! Rob’s artistic abilities are amazing, Teagan. I have finished your book about Pip. I can’t get over how you manage to write a book using three word prompts all the way through. It is mind boggling to me. I will share my review on Saturday. Writing that first serial (from which the book came) was quite a learning experience. You could probably see that I was feeling my way with the “process” as I went, chapters growing as the book went. But that serial is what grew my blog from fewer fingers than I could count on one hand. Yes, it’s still a modest blog, but it has grown from that single digit number. So it (and Pip) will always have a warm spot in my heart. Thanks for taking time to visit. I’m still marveling about the cake you made inspired from Olga’s book! You’re the cat’s pajamas! Thanks for sharing the illustrations, I love Lulu with that bubble. I am a fan on Tesla (the scientist) so I am looking forward to this next episode. Hi Dan. That image is one of my favorites too. I hope you have a great rest of the week. I’m looking forward to Thursday Doors. Thanks for taking time to visit. You’re the cat’s pajamas! Always delighted to share a virtual lunch with you, my friend. A Ouija board AND Tesla? *wipes eyes* I’m so happy right now, Teagan. LOL. Thanks for this grin, Teri. Nicola Tesla was a fascinating man. I’m tempted to write a fictionalized version of him into the story… But I’d be forever drawing it to a close if it do that. I appreciate you taking time to visit. You’re the kitten’s ankles! I love the idea of a Tesla machine. So perfect for your time period. I can’t wait to see what you do with that one! Sorry you had such a hectic week. I hope things settle down for you soon. Thanks so much, Mae. Maybe this weekend will be easier. Rob has made so many wonderful images, it’s hard to choose a favorite — so I have several, and that is one of my favorites too. I appreciate your visits. You’re the kitten’s ankles! Love that you posted the Tesla quote! I agree! See you on the flip-side. Hi Claire. I wasn’t familiar with that Tesla quote. I liked it so much, of course I had to include it — and his picture taboot! Thanks for visiting. You’re the oyster’s earrings! Dearest Teagan. upon this rainy day here in the UK, your story and Robs artwork have certainly brightened up my day.. This collaboration is working famously. and I feel awful to have neglected both your blogs for such a long time.. But today we are rained off from gardening, So I have been sat here in my reader for four hours and your post was the next in line to visit.. Thank you for always taking me to wonderful places in imagination and for always managing to make me smile with your gentle humour..
Have a Wonderful Wednesday, and tell Rob I will be working my way around to him shortly.. too..
It’s lovely to see you, Sue. I benefit from your rainy day. (We’ve had an abundance of those this month – setting records.) I appreciate you visiting. Mega hugs right back to you. You’re the oyster’s earrings! More amazing images, from Rob! Wow!! What talent. Let’s see….a jukebox – it could be part of a time machine – forward or backward depending on the song that plays. The Star of David could be a portal and I have no earthly idea what a Bolshie is. Guess we’ll just have to wait to find out. 🙂 I am loving everything about this, Teagan and Rob! LOL, I hear you, Jan. I admit that I have to Google many of the “things” Rob sends. I thought Bolshie would be a drink or a bubblegum… You’ll see what it means next week. Unless you get curious and investigate. Oh and don’t forget “sideways” in time! 😀 Thanks for visiting. You’re the oyster’s earrings! Oh, a Ouija board as part of the navigation system? That could be dangerous, but I bet you’ll make it a fun kind of dangerous. Thanks to you and Rob for sharing. It’s already Wednesday! Hang in there. Thanks for taking a moment to visit. Have a great second half of the week. You’re the caterpillar’s kimono. Great images from Rob and nice teaser Teagan! I’m not caught up yet either. Hi Brad. I think it is a busy time of year for most people. Thanks for taking time to visit. You’re the oyster’s earrings! Thanks for the smiles Teagan! Thanks for sharing from the Owlery, Viv! You’re the oyster’s earrings! I hope you had fun this past week-end then. I have no scope of imagination this early in the morning so I’ll leave the story entirely in your talented hands, and Rob’s art. That’s kind of you Carol. Thanks for visiting. You’re the oyster’s earrings! I would have the Bolshies hunting for a Star of David with a magical inscription on it, with the clues given by the titles of the songs in a jukebox 😉 hope life calms down for you, hugs across the pond. Well done, Fraggle! LOL, Unfortunately I still haven’t had a moment to write, and it’s just as well that I haven’t thought of any of that… because now I can’t use any of it. 😀 Thanks for the peaceful thought — and for reading and commenting. You’re the kitten’s ankles! Can’t wait for next week, honestly I don’t know how you manage to create every week, nothing short of amazing really. Funny I have been hearing a lot about Tesla lately,. I love where this is heading!! Hi Suzanne, it’s great to see you. That is funny (Tesla). I guess it’s “the creative one-mind” at work. Creative people getting similar ideas at the same time. I’m so glad you’ve gotten aboard this train, my friend. You’re the oyster’s earrings! Many thanks for sharing. You’re the berries! I am always amazed at how much you manage to fit into your week and how creative you are, so not surprised that sometimes life gets in the way, Teagan. Wonderful images (I have a thing for angels) and I have no idea where I’d go with the three objects. Like Christoph, I’m also intrigued by the Tesla hint, and, like Jacquie, I also enjoyed Lucifer… I’ll be waiting! Thank you for your kind and encouraging words. And I really need to find out about this “Lucifer” show… I appreciate your visit. You’re the kitten’s ankles! Happy Wednesday Teagan. I hope you’ll be back on top of everything soon and we’ll be right here waiting for Tesla and anything you’ve got up your sleeves. I’m sorry you weren’t able to get some rest, you richly deserve it! When you said a Tesla I immediately pictured his electric cars, lol. Hi Jacquie. I’m not familiar with “Lucifer” I expect it was really good. Maybe it will go to Netflix. That’s my only TV, so I’ll cross my fingers. Nicola Tesla was a fascinating man. I’m tempted to write a fictionalized version of him into the story… but I really should be thinking of how to wrap up the story. Rob has stuck with me all these weeks. I shouldn’t take advantage of his good nature. WHAT?! They cancelled Lucifer?! I loved that show! I seem to be woefully uninformed — hadn’t even heard of the show. Now I simply must find it! They always seem to cancel the shows that make me laugh and simply entertain me. Me too! Tom Ellis did a fantastic job with his role, I’ll be sad to see it go. I’m a huge fan too. I hope we see him resurrected soon in another show. I also LOVE Mazikeen. Horsefeathers! I’ve really been missing out re that show! I sure hope it goes to Netflix. TGIF hugs Joanne and Jacquie. Thanks for sharing, Mr. MN. You’re the berries!